There were many tight games in the haggle and there ended up with three 3 winners. 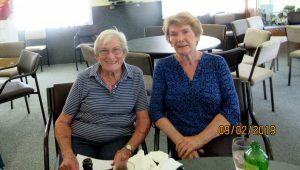 With 13 ends Margaret Eisby and Enid Di Cesare were the winners. Congratulations. Next there were two teams on 12 ends with Geoff Ladd and John McConnachie having 22 points with Tony Popplewell and Russell Parkinson just having 19.